Outstanding little bluestem cultivar with orange, red and yellow leaves in the fall. 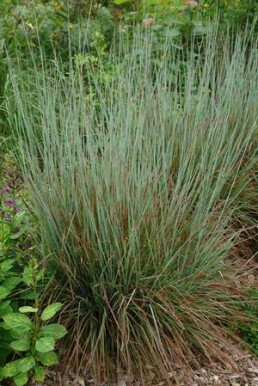 An outstanding little bluestem cultivar from North Creek nursery, Standing Ovation has an upright habit and bluish-green leaves that turn orange, red and yellow in the fall. Larval host for the dusted, Indian and skipper butterflies.